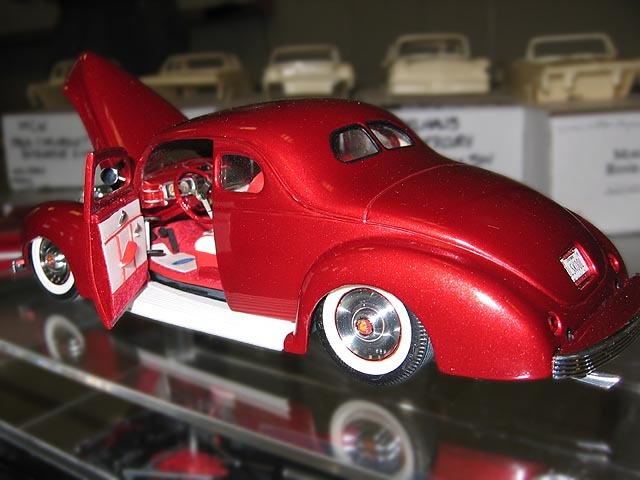 Lyle painted the Revell kit interior with Tamiya Pearl White then added red wire piping and flocked the carpet. He painted the dash and other red portions of the interior with Polly-S Red. Gauges and steering wheel are from The Model Car Garage. The extra long shifter is a straight pin he bent and painted.